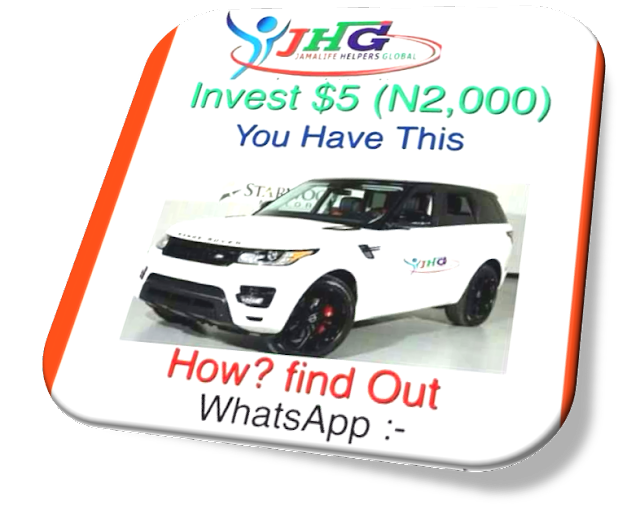 How to join Jamalife in Nigeria or any African country is quite easy! But you need to watch jamalife presentation and understand the jamalife compensation plan. When you have done that and you are excited about the program, then you can ask how to join jamalife. If you are joining Jamalife from Nigeria or any African country, contact your upline to do the registration for you. But if you don’t have any upline yet, then message me to add you to the best and fastest growing jamaline team. It’s not just about joining jamalife, i need you to understand some certain things. Your success in the jamalife business depends to a large extent on the team you join. For you to progress and grow from stage to stage in jamalife, then every member of your team must be ready for the task of getting 2 people each including you! The faster this can be done, the faster you and all your team members will earn. members. This is the type of team you should join because we will be helping you to make sure you get your 2 as soon as possible. just message me and i will show you all you have to do. Now Let see How to Join jamalife. I’m going to show you how to join the Jamalife but again, i can’t stress this enough, you need your upline to make the registration for you. For proper placement on the matrix it’s recommended your upline do the registration for you. Also for you to successfully join and activate your jamalife account, you need to have $5 in your ewallet and a new member just joining don’t have this. On the other hand, if you are already a member and want to register your new team members yourself, then follow the step below and make sure you have more than $5 in your internal wallet. for payment mode, select ewallet, enter your username and password for your ewallet. Then your account will be created and activated. That is how to join jamalife. Once you have active account, you can then change your password. Next Post Next Post: Farm crowdy Review: How To make money with Online Farming in Nigeria.